"Anxiety is neither helpful nor necessary. It robs us of faith and confidence in God’s help and it saps our energy for doing good. Jesus admonishes his followers to put away anxiety and preoccupation with material things and instead to seek first the things of God – his kingdom and righteousness. 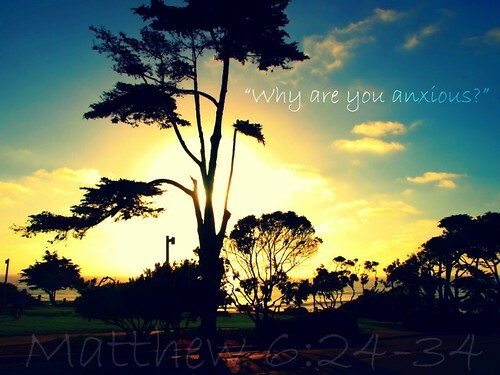 Anxiety robs the heart of trust in the mercy and goodness of God and in his loving care for us. God knows our needs even before we ask and he gives generously to those who trust in him. Who is your master – God or mammon?" Bloggers are welcome to use my artwork, please link back to my images.